A quadcopter drone is a drone that functions with four rotors. This drone is one of the simplest versions of multi-rotors drones. It is used mostly by younger kids and beginners because it contains simple and easy to use functions. The quadcopter price fluctuates at low levels, but sometimes it can vary a lot because there are a lot of models in the market. 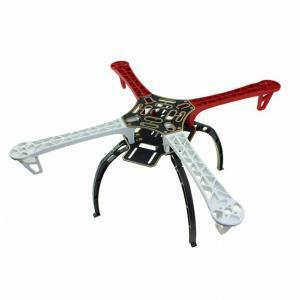 Kids and beginners can build and repair quadcopter drones easily without big problems. A professional quadcopter drone not only can film professional video and take photos of high quality, but it can be used also as toys by younger kids giving them pleasure for a lot of hours! You can even attach a small camera in the drone by using your own gimbal. The blades on a quadcopter drone are placed around the main body of the drone so as to push air down by the spinning of these blades (propellers). The rotors of the quadcopter drone are usually placed around the main body of the aircraft in a straight line but between back or forward rotors and the other rotors there is a small distance so as to help the drone with an additional boost. Therefore, as the rotor pushes down on the air, the air pushes up on the rotor. Even if Quadcopter drones are functioning at a lower speed and their performance is not that high, due to the reason that they use only four blades, beginners and kids will surely be excited by this drone. Controlling a drone at a lower speed is easier for beginners and kids. Moreover at a lower speed the operators of the drone can keep the Quadcopter drone within a flight range viewable by them. Quadcopter Drones are a perfect gift not only for children but also for beginners because of this lack of speed and of performance. The benefit though of these Quadcopter drones is that they are sold in smaller sizes and that their prices can be affordable by almost everyone. Even if Quadcopter drones are not that much popular for purchase at the moment, they can be equipped with a lot of amazing features that even hexacopter or octocopter drones cannot be equipped for now! The ultimate and more classic drone style is here. Four helices, aerodynamic shape, low weight and small dimensions for endless play. They have a low charging time via USB and a comfortable controller. They also feature 6-axis gyros for a fixed flight until you start the tricks and a wide variety of colors that fascinate and cause you to take off! Now, the best quadcopter drones for kids are easy to fly, can be sold in budget prices and are constructed in high quality. Get now into the world of cheap quadcopter for sale at NewTechStore.eu where you can find a large variety of drones at this quadcopter store for beginners and kids! 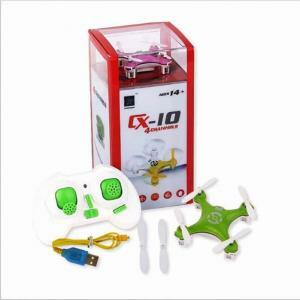 Buy quadcopter drone for sale at low price for your kids or your family. 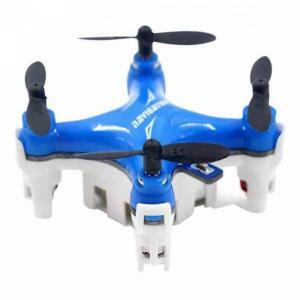 Buy quadcopter online in low price with multiple rotors. In our website you can find at very low cost quadcopter drones purchase but also of quality! 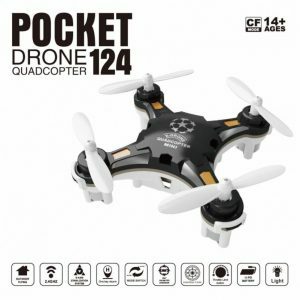 The FQ777-124 nano quad is small and light enough to fit literally anywhere! 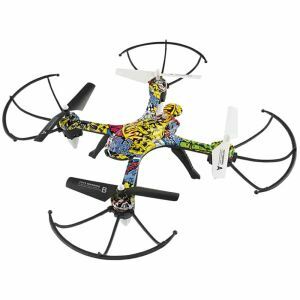 The FQ777-124 is fitted with a 6 axis gyro making it super stable and easy to fly indoors or outdoors. For the less experienced pilot the quadcopter has a one key return to home function and for the more experienced pilot the quadcopter has an acro button ; simply push the stick in any direction whilst holding the acro button and the quadcopter will perform a 360 degree flip and return to level flight. Whether you fly in mode 1 or mode 2 the FQ777-124 has it covered, simply flick the switch on the back of the Tx to toggle between mode 1 and 2. The Tx charges the LiPoly battery whilst on the move, on the beach or even in the classroom! €15.61 Tax exc. €11.71 Tax exc. JJRC H48 micro RC drone is comparable to H36. However, the newly designed UAV features the more convenient screw free structure and two charging modes. Screwdriver becomes unnecessary and you can connect two different parts effortlessly. Kids can play to their heart’s content and recharge the battery via the charging interface of the 2.4GHz 4CH transmitter. The flexible propellers and anti-collision propeller guards effectively protect the fingers and avoid causing damage to the furniture. It comes with these specifications: Telemetry range 50 m, Maximum flight time of 6min, Battery Capacity of 100 mAh, Width 130 mm. €17.78 Tax exc. €13.34 Tax exc. It can realize 3D tumbling in four directions with 4 LED lights. It functions with a 360 degree unlimited eversion which make the drone flip forward / backward / leftward / rightward according to your instructions. The 6-axis built-in gyro system gives this drone the characteristic of stable flight and easy operation. It also adopts 2.4g auto connection technology and its remote control system is about 30-50 meters. Finally, it is equipped with high and low speed modes enabling you to adjust easily the speed as you like and with a led light enabling the drone to shine in the darkness which is good to show you the right flying direction and give you a special look. €24.80 Tax exc. €18.60 Tax exc.